Pope Skinny aka Asuodengod has accused self-acclaimed Dancehall king Shatta Wale of using spiritual powers popularly known as “juju”. 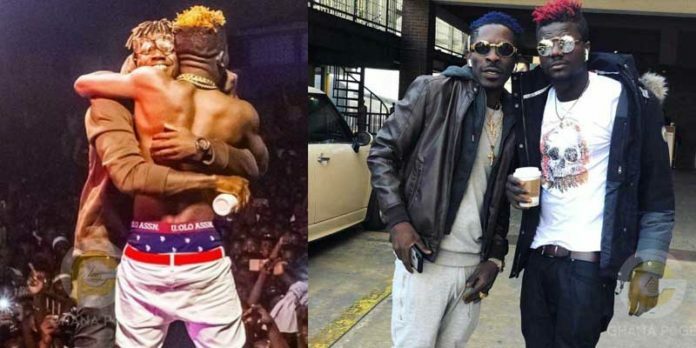 Shatta Wale and Pope Skinny have been accusing each other on social media after their fall out. Shatta Wale who was first to open fire stated that Pope Skinny is a snitch and promised to slap him in town and seize his car unless he returns his $10k. In a video available on social media, Pope Skinny is accusing Shatta of using juju and since that is failing him he has started attacking people. We keeping our fingers crossed and waiting for Shatta Wale to respond to the juju allegation leveled against him. The post Pope Skinny accuses Shatta Wale of using juju appeared first on GHANAPAGE™.